When scientists commence to assigning species classifications, the dividing lines get a mite blurry. Scientists occasionally have difficulty if a critter belongs to a separate species. One of they key points is if an organism can reproduce sexually. So, why are some things classified as different species if they can interbreed? Creationists refer to the biblical phrase created kind, which is similar to the family classification. All of the varieties of dog, such as the little yap dog, police dog, dingo, wolf — all are descended from a single dog kind, probably a wolf. The quest for nonexistent evolutionary history of bears was the impetus for sequencing the genomes of four bear species. Instead of supporting evolutionism, the results are more in keeping with creationary models. After all, the bears can hybridize, so even Darwinists are wondering if they're fouling up with their classifications. 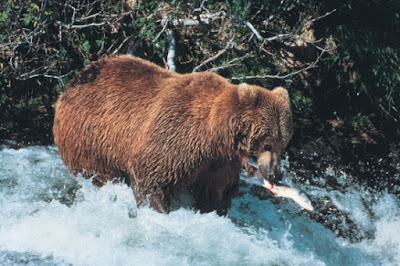 The world-wide variations on bears could have come from one original type. To read the rest, click on "All Bears Are Brethren".